MilesWeb team will help you to get your MediaWiki website online in no time. Our best MediaWiki hosting packages comes with preconfigured Apache, PHP, MySQL and other required components. 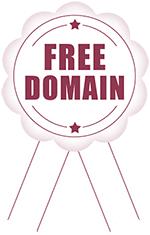 Every client gets a free private SSL certificate for the MediaWiki website with the option to add dedicated IP at an additional cost. Our shared hosting servers in India, UK and US are 100% optimized for running MediaWiki websites. Now all you have to do is login and setup your MediaWiki Website. Why Choose MilesWeb's MediaWiki Hosting Service? You don’t have to worry about any technical aspect if you wish to start a MediaWiki website or portal. We are there with you and we will provide you with comprehensive support whenever required for getting your website/portal live. MediaWiki is completely free to install and you can install it as many times as you wish, at no additional cost. MilesWeb provides you with your desired hosting package with free MediaWiki installation. Worried about the data migration in changing MediaWiki hosts? No problem — We’ll take complete responsibility of migrating your MediaWiki website from your existing provider, remove bugs and optimize your site for the best and fast performance from day 1. MediaWiki is an open source Wiki platform that was originally designed to work with Wikipedia. It is created in PHP and utilizes a MySQL database. Through MediaWiki, the registered users get the flexibility to create web pages, edit them, link to each other and organize the content on a website. MilesWeb offers with MediaWiki powered hosting packages. MediaWiki CMS can be installed with few clicks on any of the web hosting packages and your website will be setup right away. Do I have to pay separately for installing MediaWiki? You only have to pay the hosting charges, MediaWiki will be installed on your hosting account free of cost. Which MediaWiki version will I get? The latest available version of MediaWiki will be installed on your hosting account. Can I restrict editing of pages in MediaWiki? Yes, you can restrict it using LocalSettings.php file. Get in touch with our support technician and they will do it for you. Do you patch new versions of MediaWiki when they become available? Yes, we will upgrade and patch the MediaWiki version for you. You will have to send an email to support@milesweb.com with your MediaWiki admin login details. Our support team will backup the current site and upgrade to the latest version. Will I get support for transferring my MediaWiki website? Sure you will. If your MediaWiki website is hosted somewhere else, we will get it transferred on our servers and we ensure that any kind of data loss or SEO penalty is avoided. You will not have to pay any additional charges for getting your MediaWiki website transferred. Do you provide support for any other Wiki services? Yes we do. Like MediaWiki MilesWeb also provides hosting solutions for PHPWiki, TikiWiki, DokuWiki, WikkaWiki, ScrewTurnWiki and many more Wiki services. Can we restrict Wiki access to specific country OR IP range ? Yes, with MilesWeb's Wiki plans you will be able to restrict access according to the country OR IP range. This can be done using the .htaccess file. If you are unsure how to do it, get in touch with our support team. Do I get SSH access with hosting plans? With our Linux shared hosting plans you get jailed shell access. A support request should be initiated to gain SSH access. How long does it take to set up a Mediawiki hosting account? Setup a Blazing Fast Mediawiki Blog , Plans at just $1.11/mo.